Have Christians grown accustomed to those who defame the Church? 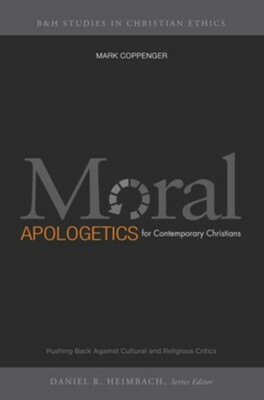 Whether it’s a best-selling author who claims “religion poisons everything” or an atheist comedian whose punch lines aren’t hassled by the burden of proof, foes of the faith continue to declare Christianity morally deficient without much resistance. 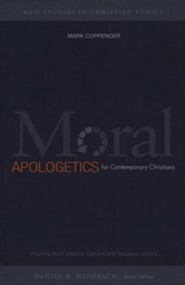 In Moral Apologetics for Contemporary Christians, Mark Coppenger mixes compelling references—from classic philosophers to modern entertainers—to reasonably push back against both harsh critics and less intense cultural relativists, contending that Christianity is morally superior to its competitors as well as true. 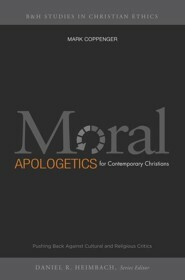 I'm the author/artist and I want to review Moral Apologetics for Contemporary Christians: Pushing Back Against Cultural and Religious Critics - eBook.